Creating an effective plan for the future requires two key elements: awareness and foresight. The first, to know where you currently are and why. The second, to know where you should be going and how. Over the last year, the City of Lynchburg’s Office of Economic Development and Tourism worked with Steven Pedigo, a nationally recognized economic development strategy consultant and professor at NYU, to create “A Blueprint for Opportunity,” which provides compelling action items for the City to undertake from 2019-2023. Data analysis was coupled with input from business owners, stakeholders, and community members to provide the necessary context for interpreting and leveraging the statistical information. According to the plan which was released in late September, “success is built on five key priorities: growing local businesses, engaging anchor institutions, filling workforce pipelines, enhancing quality of place, and communicating Lynchburg’s story to the world.” Then, the findings specific to Lynchburg were interpreted within these five priorities and developed into measurable action items. Of note is that the plan is not a static report. Rather, as Upshur points out, “This is a ‘living plan,’” which means that the action items will be implemented and measured against set metrics. “[Pedigo] is continuing to work with us on implementation,” Upshur says. “That’s what I’m really excited about because it’s not just lines on the page…part of what we’re doing is we’re constantly evaluating and adjusting” over the course of the next five years. One of the action items Slightham says they’ll be adopting at 434 Marketing is skill and talent development; he says they’re already working to connect the industry cluster they belong to (Advertising, Marketing and Design Services) to the budding young talent in the city. This response is exactly what the plan is meant to instigate—one of informed action. A set of eight defined values—such as “Focus on Family-Wage Jobs” and “Maximize Urban Potential in a Rural Community”—were used in conjunction with seven guiding principles—such as “Leverage and Engage Anchor Institutions” and “Promote and Develop Place”—to inform the plan’s five specific goals, each with their own set of objectives and action items; it is these points that can be tracked and assessed as time goes on. The focus is on “combining traditional manufacturing with advanced capabilities,” thus keeping pace with advances in the coming years. An associated part of that process is a skills pipeline, talent acquisition and retention. Nuclear Technology is another strongly represented industry cluster with a presence 34 percent greater than the U.S. average; right now, it’s a “strong export cluster with the potential to position Lynchburg as a center for new and emerging technologies,” the plan states. 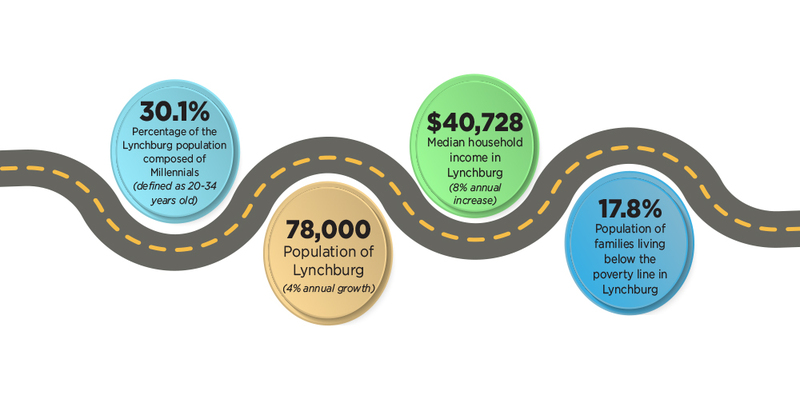 Goals 3, 4 and 5 focus on skill development, placemaking strategy and developing a competitive identity for Lynchburg. 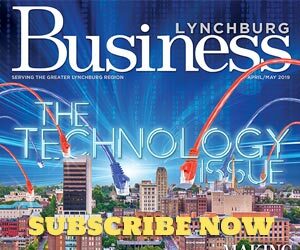 These goals will demand a level of collaboration among City officials, business owners, tourism organizations and anchor institutions both to grow what Lynchburg has locally and to tell its story in a way that attracts and retains talent.